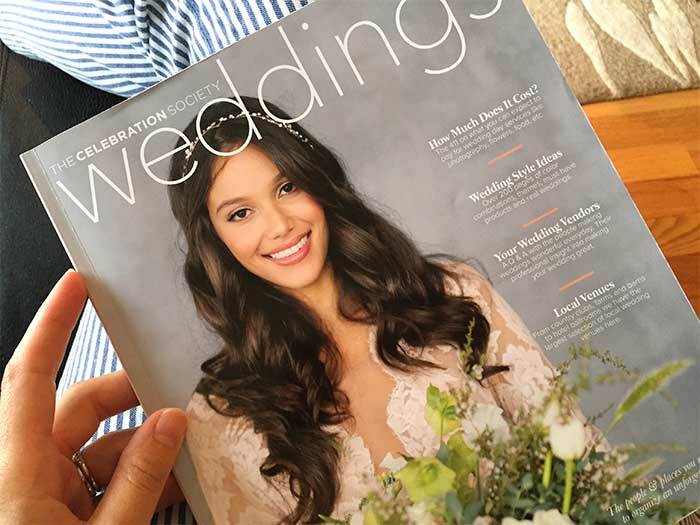 The effervescent Water Ripples watercolor wedding invitation was featured in the Summer issue of The Celebration Society Weddings magazine! 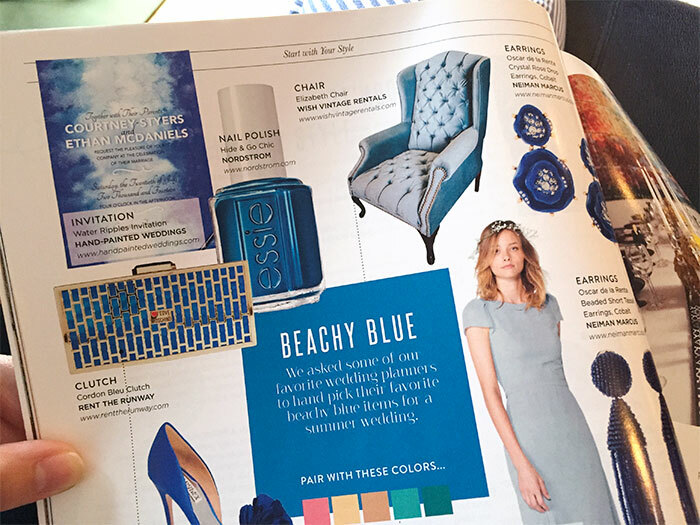 I supplied the artwork for an editor of the magazine in the Spring, but it was actually one of my clients who worked on a yacht all summer who told me she saw it featured in the magazine, that alerted me that it was published…how funny is that! I don’t have a big advertising budget, especially for print, so opportunities like this are really exciting! 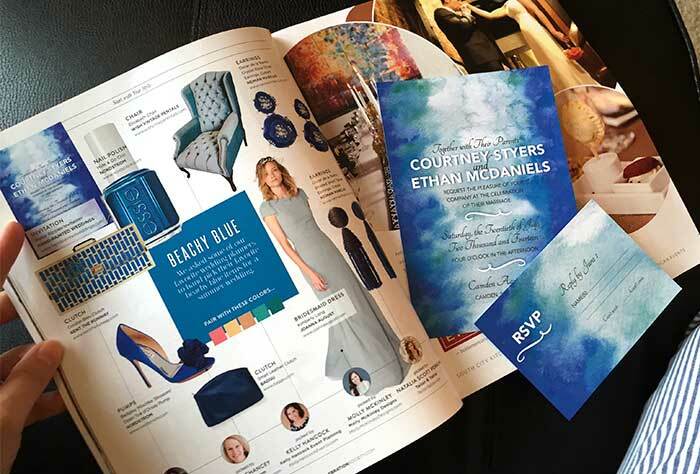 The Water Ripples invitation is featured alongside a lot of other inspiring “Beachy blue” wedding and decor items. I adore that clutch! The Water Ripples invitation is a great invitation for a wedding happening during the summer and/or for beach weddings. It would also be a beautiful invitation for a wedding happening near a lake or the ocean. Most destination weddings are near the water, so this invitation would also be very fitting in that setting. Note: The Water Ripples watercolor invitation is available in the shop for purchase.